A day ahead of the crucial byelections, R K Nagar was buzzing with activity as the city police and personnel of the special task force oversaw security and other preparations. Tension has been palpable in the constituency amidst allegations of malpractice, in particular the distribution of money by political parties to win the assembly seat that fell vacant upon the demise of the former Chief Minister J Jayalalithaa. 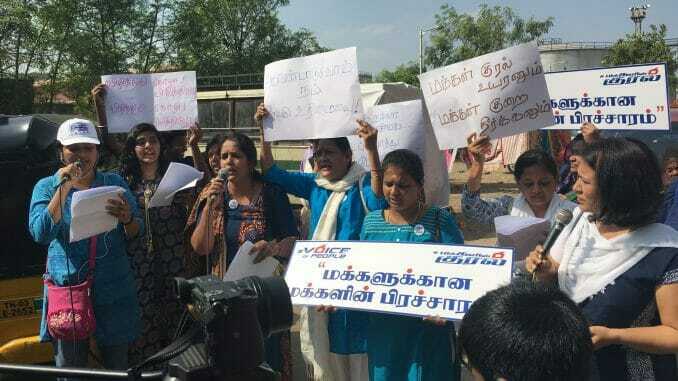 VoiceOfPeople, a group of concerned residents from all quarters of society, gathered at the Tondiarpet zonal office on Wednesday, a day after the political parties wound up their campaigning, as per the Election Commission’s mandate. Equipped with drums, microphones and lyrics on sheets of paper, they reached out to people in the interior localities of the constituency, with the sole intention of making themselves heard. This campaign by VoiceOfPeople, in collaboration with the Election Commission, is an attempt to help clean up the electoral process, to educate residents to be fearless, independent and responsible in exercising their vote. On Wednesday morning, the calm lanes of Thilagar Nagar, which is mostly inhabited by the fisherfolk and the working class were brimming with people. Belting out songs with a powerful message against bribery and malpractice, the VoP women led the campaign with enthusiasm and positivity. The tunes of popular Tamil songs were modified to form thought- provoking numbers. Charu Govindan, one of the members of the group, said that the campaign wanted to go beyond political parties, caste, creed and religion. “We just want to reiterate the significance of our democratic right – the power to vote. It is important for citizens to choose a socially responsible candidate without falling prey to party charisma, in order to put an end to the string of problems in the constituency,” said Charu. 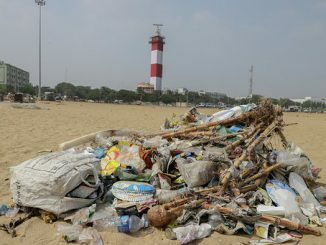 Water contamination, air pollution due to its proximity to the port and battered roads are among the problems that plague R K Nagar residents on a regular basis. 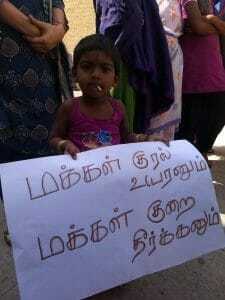 “Tasmac venaa.. Kaava thanni kalakamme kudika thanni venum (We don’t need Tasmac. Provide us with water that is uncontaminated by sewage)” — lyrics such as this received spontaneous applause from the local people who came forward to pour out their grievances. The audience for the campaign was comprised of genuine voters, who had not been bribed with food or money. It was the undivided voice of the volunteers that attracted the crowd. A housewife who paused cooking and listened to the songs in awe, a senior citizen who danced to the tunes, a sick transgender who explained the problems, and many others gathered to soak in the key message of the volunteers of VoiceOfPeople: You can question the authorities only if you vote conscientiously. .
A 45-year-old voter from Tsunami quarters who initially defended having received money, was a changed man. “I was of the opinion that one vote would not matter and it is okay to earn during elections. I have now realised that it is our personal right to exercise franchise. My vote will certainly go to someone who is capable of bringing about change,” he said, seeking anonymity. So what would win in R K Nagar? Money or genuineness? Amid widespread reports that each voter has been bribed with Rs 6000, it is tough to hazard a guess on whether the day-long campaign is going to make a big difference. But what was evident was the dent in perception, at least among a few. A beginning had been made, and as they say, well begun is half done. Blame it on ineffective implementation by the government or callousness of citizens themselves, but single-use plastic is still seen in many a nook and corner of the city. Here are a few examples. 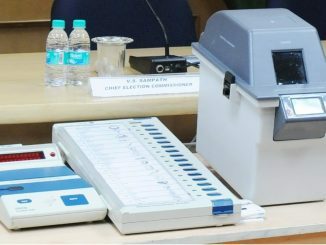 Poor voter turnout – lazy Chennai or lazy analysis? Urban voters have often been berated for the low polling percentages recorded across cities. But is the percentage really that low? And are there procedural issues that could be the reason? Mahesh S T analyses the Chennai rolls. 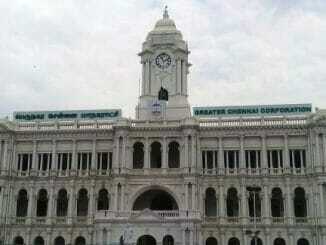 It has been well over a year since the city has had an elected municipal Council to handle civic issues and it is still uncertain when elections to the Greater Chennai Corporation will be held. Good attempt. I think we may not see the result immediately, but it would have an impact. The problem is, people do not seem to have choice. All the known choices are questionable.